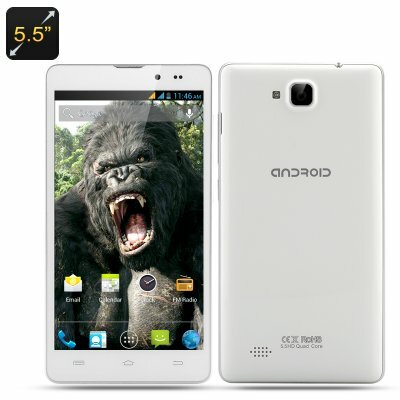 Successfully Added 5.5 Inch IPS Android 4.2 Smartphone 'Kong' - MTK6589 Quad Core CPU, 5MP Rear Camera + 2MP Front-Facing Camera (White) to your Shopping Cart. 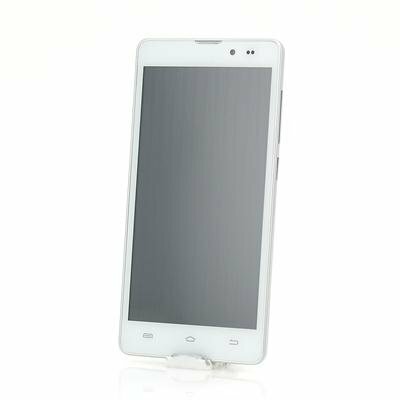 This 5.5 Inch IPS Android 4.2 Smartphone has a MTK6589 Quad Core CPU, a 5MP Rear Camera and a 2MP Front-Facing Camera is the wholesale chest-thumping choice for all. Conquering the mobile phone market is this quad core powerhouse known as the ‘Kong’ smartphone. With a 5.5 inch screen, this phone shows everything crystal clear and well presented as the resolution is 1280x720 HD plus it implements IPS technology. The Android 4.2 operating system is also known as Jelly Bean does bring significant improvements to the popular, open-source mobile operating system. Android 4.2 has features such as Daydream, which is actually a smart screen-saver so it lets you display photo slideshows, news headlines, and such. In cased inside this well-designed Android phone is a MTK6589 Quad Core processor that is back up by a dedicated Mali-400 MP2 (500 MHz) GPU as well as 1GB of RAM. With this type of performance you can enjoy your media in addition to running all your downloaded apps from the Google Play store in their full glory. A 5 megapixel is built-in into the rear of the phone, which can be expected up to 13 megapixels via interpolation making it a great choice. If you like to take a ‘selfie’ in the bathroom at the club, then there is a 2 megapixel front-facing camera so you can snap away and upload it onto Twitter and Facebook to help you get ‘likes’ as well as being able to engage in online conversations.